Manila (11 November) -- A high school in Mindanao bested over 30 public schools nationwide that registered participation in the First Rain Watchers Awards conducted by the Typhoon Committee Foundation, Inc. (TCFI) and the Philippine Atmospheric, Geophysical and Astronomical Services Administration (PAGASA), in partnership with Smart Communications, Inc. (Smart). The Monkayo National High School in Monkayo, a town in the Province of Compostela Valley some 120 kilometers away from Davao City, won a trophy, a school computer, P25,000 cash, mobile phones and Smart Bro prepaid plug-it units for its efforts to regularly monitor and record rainfall under Smart's Project Rain Gauge. 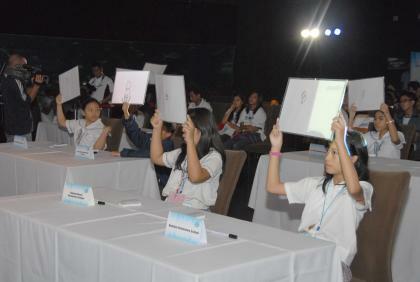 Second and third place went to San Miguel National High School (SMNHS) in Bulacan and Aurora National Science High School (ANSHS) in Baler, Aurora respectively. SMNHS won P15,000 while ANSHS won P10,000, with each school receiving a trophy, a school computer, mobile phones and Smart Bro prepaid plug-it units. 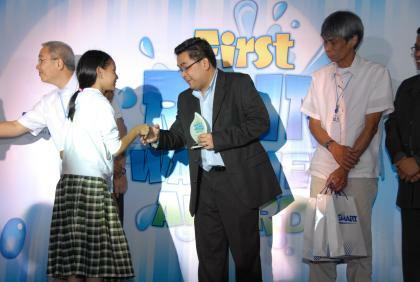 A special prize went to SSS Village Elementary School in Marikina City as "Rookie Rain Watchers of the Year". The public elementary school is one of 18 schools that joined Project Rain Gauge just this year after Smart opened the project to non-Smart Schools Program partners to involve schools in areas like the cities of Marikina and Antipolo as well as some parts of Rizal that were hard-hit by typhoon Ondoy. Though initially a science education project, Project Rain Gauge is envisioned to eventually create a network of supplementary ground stations across the country to provide additional data on local rainfall measurement in specific areas for a more effective and accurate local weather monitoring. Its importance is underscored by the fact that the Philippines has a complex weather system and that there are only 58 ground stations for weather monitoring in the entire country. There are now 68 public schools participating in the project since its launch in 2007. The schools were judged according to their ability to collect, read and report rainfall data (55 points), raise awareness about the importance of rainfall monitoring in their respective schools (30 points) and form partnerships to sustain interest in and support for the initiative within their community (15 points).